The global insurance industry’s ability to confront structural and technological changes is now the greatest risk it faces, according to a new survey of insurers and close observers of the sector. The CSFI’s latest Insurance Banana Skins 2017 survey, conducted with support from PwC, surveyed 836 insurance practitioners and industry observers in 52 countries, to find out where they saw the greatest risks over the next 2-3 years. Change management is at the head of a cluster of operating risks which have jumped to the top of the rankings. The report raises concerns about the industry’s ability to address the formidable agenda of digitisation, new competition, consolidation and cost reduction it faces, especially because of rapidly emerging technologies which could transform insurance markets, such as driverless cars, the ‘internet of things’ and artificial intelligence. Cyber risk follows close behind, with anxiety rising about attacks on insurers themselves as well as the costs of underwriting cyber-crime. Other major concerns include the adequacy of insurer’s internal technology systems and new competition, particularly from the ‘InsurTech’ sector. The next cluster of high-ranking risks, interest rates, investment performance and macro-economic risk, shows that concern about economic instability remains high. Although respondents acknowledged signs of growth, confidence in the recovery is not strong for reasons as widely dispersed as the slowdown in China, the risk of Trump-era protectionism, and populism in Europe. The risk of political interference was seen to have risen sharply. However, Britain’s exit from the EU was seen to be a minimal source of risk for insurers, particularly those without operations in the UK. were seen as high-level risks during the financial crisis but have fallen sharply since, because of both initiatives from the industry itself and regulatory pressure. Overall, the climate for insurers is becoming more challenging, according to respondents. The 2017 Banana Skins Index, which measures the level of anxiety in the industry, is at a record high, while the industry’s preparedness to handle these risks has fallen from 2015. 3. The survey is the latest in the CSFI’s long-running Banana Skins series on financial risk. Previous Insurance Banana Skins surveys were in 2007, 2009 2011, 2013 and 2015. The report is prepared by the CSFI, which is solely responsible for the editorial content, with support from PwC. It can be downloaded from the CSFI website: www.csfi.org or from the PwC website: www.pwc.com/insurance. 4. The CSFI (Centre for the Study of Financial Innovation) is a non-profit think-tank, founded in 1993, which looks at challenges and opportunities for the financial sector. It has an affiliate organisation in New York, the New York CSFI. 5. 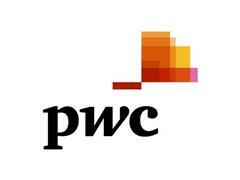 PwC is a network of firms in 157 countries with more than 223,000 people who are committed to delivering quality in assurance, tax and advisory services. More information is available at the firm's website, www.pwc.com.